I FINALLY got around to making one of the things I’ve been wanting to try for a few years now… Coconut Whipped Cream! Don’t ask why it took so long, especially knowing how easy it was to make. All I can say is that I’ve been missing out on this goodness. 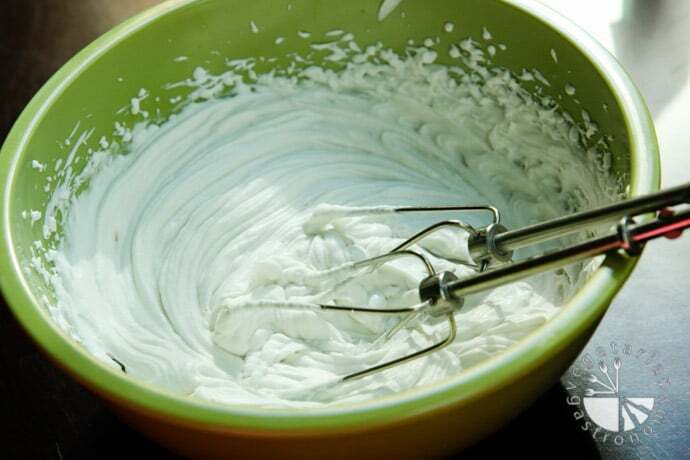 My husband and I usually make fresh whip cream with heavy whipping cream and powdered sugar. We use it in desserts and for frosting. 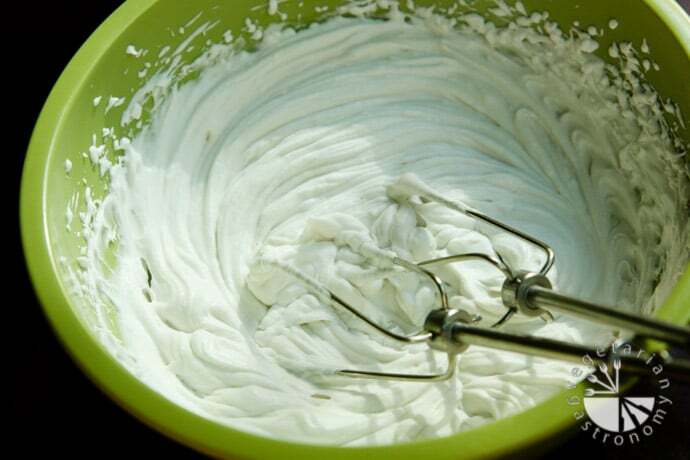 Recently I’ve been thinking about a vegan alternative, and coconut whipped cream came into mind. I first tasted it a few years back when my cousins were visiting San Diego and brought a homemade vegan chocolate cake with vegan whipped chocolate frosting made from coconut milk. For those of you who follow my posts, you already know I have an addiction for chocolate + coconut. So you can imagine how much I enjoyed the frosting. 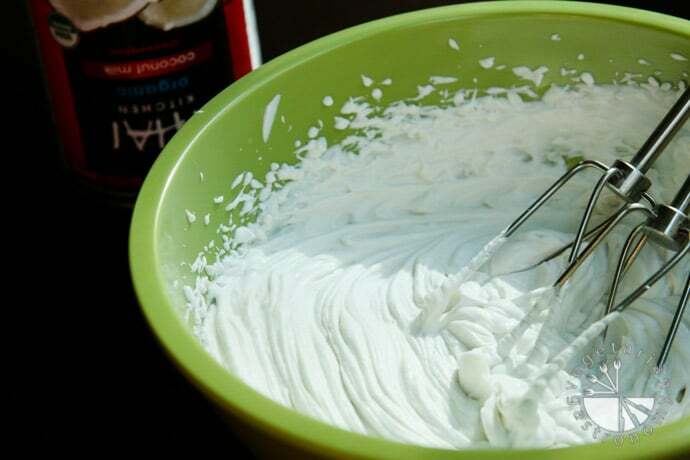 Once you see how easy it is to make, you’ll find yourself keeping a few cans of coconut milk in the fridge, so you can whip up some coconut whipping cream anytime! You will definitely want to lick the bowl after making this recipe. 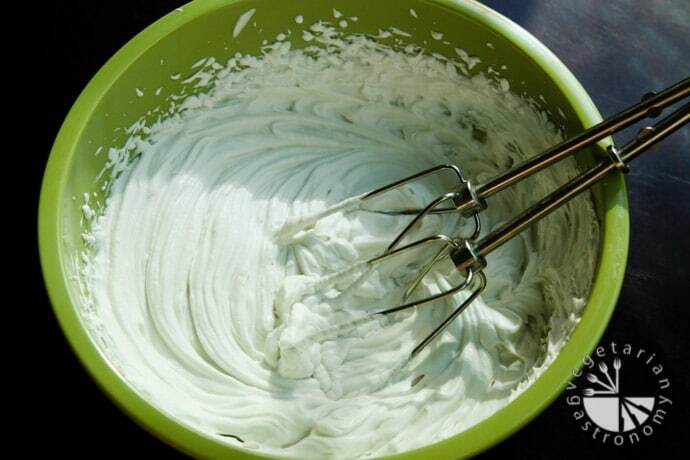 Keep an eye out for upcoming recipes using this delightful coconut whipped cream! 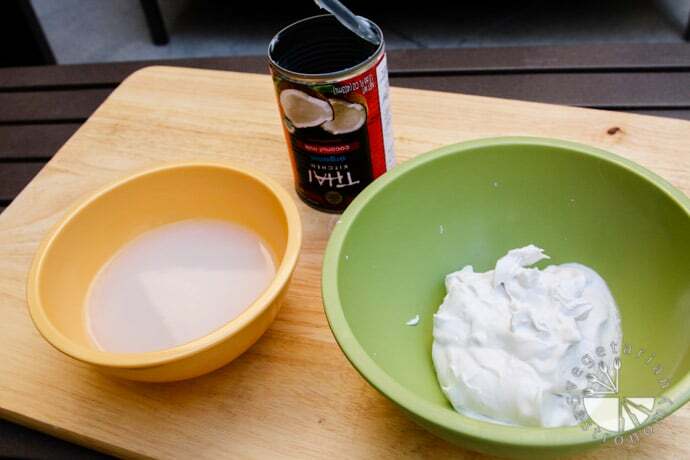 Place the can of coconut milk in the fridge overnight for at least 24 hours. You will see the liquid coconut milk (the part that did not solidify) will now be at the top of the can. Slowly pour out this liquid into a bowl or cup. This coconut milk liquid is not used in this recipe - you can use it to make a green smoothie. Half way through, add the sweetener and vanilla extract and continue to beat. 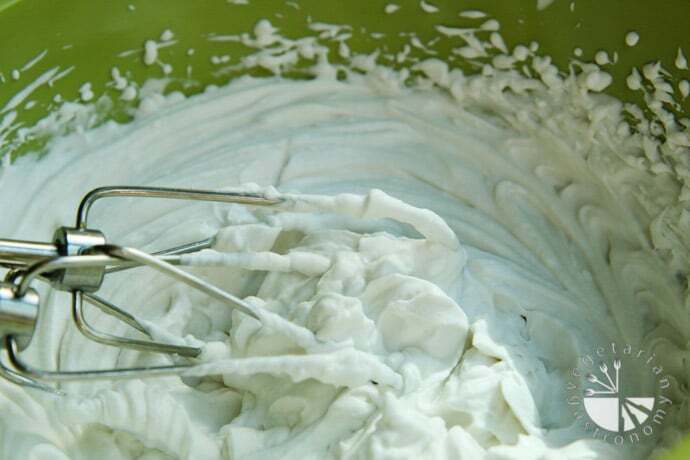 It's best to serve this whipped cream immediately. If you store it in the fridge, it may slightly harden and loose it's fluffy texture, but you can remove it from the fridge and whip it again before using. - Be sure to use full-fat coconut milk for this recipe, otherwise it will not work. - I have used Thai Kitchen Coconut Milk for this recipe many times and it's turned out great. - I prefer to use powdered sugar, but you can use any other sweetener, such as maple syrup or agave nectar. They taste good and work well. 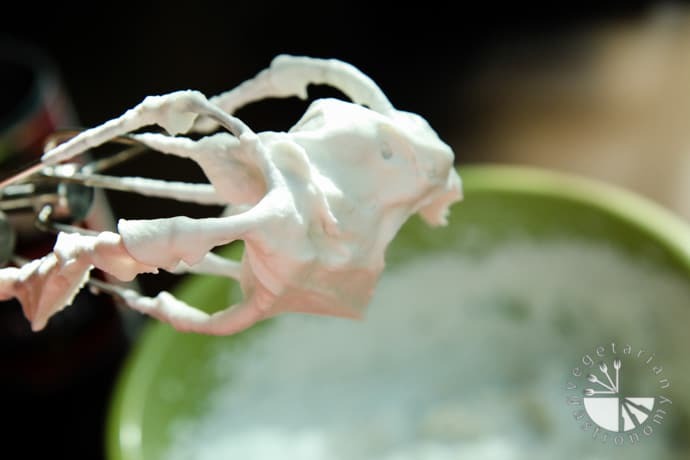 - Note that if you use liquid sweeteners, your end result may not be as fluffy or stiff because you are adding more liquid to the cream.